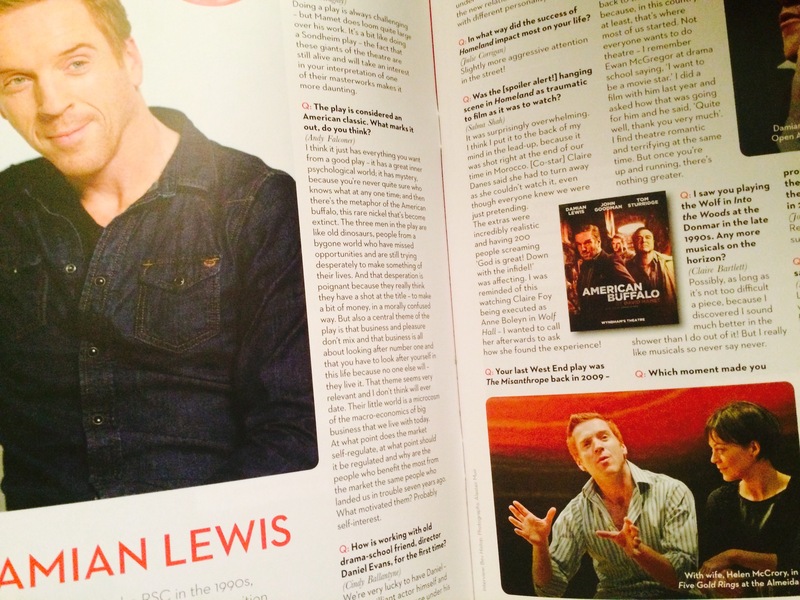 The American Buffalo programme booklet has a nice section in which Damian Lewis answers questions asked by fans. As everyone in the northern hemisphere is enjoying summer fun these days, let’s be oppositional and go back to one of Damian’s darkest roles. Here’s a revisit to the role that determined Damian to be the perfect fit for Nicholas Brody: Keane. A fun fact: Keane was directed by Lodge Kerrigan, who also happened to direct an episode of Homeland, Season 2, “State of Independence”, the episode where Brody has the run-in with the tailor. Remember those chilling scenes in the woods? Beautifully paced, shot, and performed horror, reminiscent of much of the action in Keane.